HONG KONG - Ng Goon-lau pointed at a window inside a dark, tiny bedroom. The window was small and easily sealed, Ng explained, a perfect place for carbon-monoxide poisoning. A man once burned charcoal to kill himself there. Another tenant, a policewoman, also hanged herself in the same apartment. 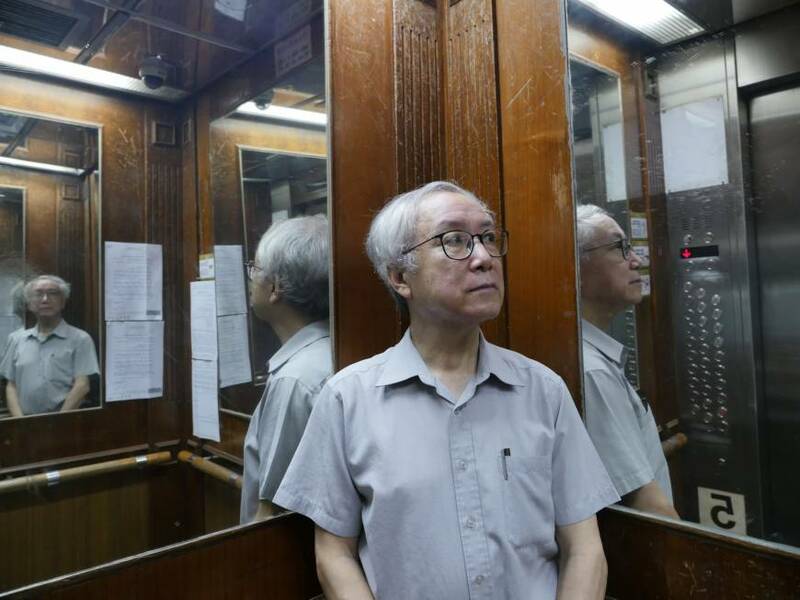 “That’s why it was so cheap,” said Ng, the silver-haired 66-year-old landlord, who bought the tiny 325-square-foot (30-square-meter) unit after the double suicides for just over 1 million Hong Kong dollars ($127,400) in 2010, 30 percent less than the then market rate. Eight years later, the apartment is probably worth around HK$4.4 million, Ng estimates. Dubbed the “King of Haunted Flats” by local media, Ng has made a name for himself for speculating on such “hongza,” or haunted flats — defined here as the places where tragedies, such as suicides and murders, took place. He has been able to buy some of the homes at as much as a 40 percent discount. But Hong Kong’s record-breaking property price surge over the past few years is pushing many to reconsider such inauspicious apartments as bargains too good to pass up, whatever the bad history. The once heavy discount on a haunted apartment’s price has narrowed from about 30 percent in 2013, to about 10 percent this year, said Ng, adding the discount dropped at the fastest rate in the past year. The financial hub’s housing prices have been on a record-breaking run for 18 consecutive months, with the city now one of the world’s most expensive real estate markets. A skilled service worker would need to work 20 years to buy a 650-square-foot flat near the city center, according to a UBS report in September, which also ranks Hong Kong’s housing market as the least affordable in a list of 20 world cities. Only about 20 percent of Hong Kong’s 1.85 million taxpayers could afford to buy a medium-priced apartment costing HK$8 million, property consultancy Knight Frank said this month. Property analysts expect prices to rise even further this year, with five analysts predicting overall gains of between 8 percent and 17 percent. 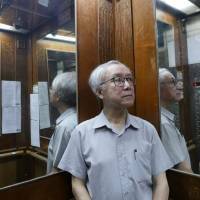 Even Ng, who has bought around two dozen haunted flats since the 1990s and flipped most of them for profit, is spooked by the market surge. A double whammy of high prices and a heavy tax on non-first time buyers means he hasn’t bought a haunted flat for six years. Last September, the government received more than 80,000 applications for 576 such flats. The issue of a haunted flat melds the Hong Kong obsession with property with a Chinese population that tends to be superstitious and pursues ancient traditions, illustrated by the use of feng shui by many property developers to ensure that a building uses surrounding natural forces, such as mountains, wind and water, in a harmonious way. Not only does a haunted flat drag down the price of all the flats on the same floor, it can also bring down the value of apartments above and below it, according to property agents. It is commonly believed here that the trapped souls of murder victims are especially haunting, as they linger in humankind, mourning their untimely, vicious deaths and yearning to complete what they did not have time to do while they were alive. A flat a few doors down from the luxury apartment where former British banker Rurik Jutting murdered two women in 2014 was sold last year. The price dropped 6 percent from its precious transaction in 2011, even though Hong Kong’s housing market rose more than 80 percent during the same period. The buyer could not be reached for comment. Jutting’s former landlord declined to be interviewed. Banks are also less willing to provide mortgages for a haunted home due to concerns it could be difficult to resell in the event of a mortgage default, according to the managing director of Centaline Mortgage Broker Limited, Ivy Wong. But while some banks unilaterally rejected “hongza” mortgage applications a decade ago, in recent years this policy has been relaxed. “When more home buyers are willing to accept these flats, it gives the banks more confidence,” Wong said. HSBC provided a mortgage for a buyer last year when she bought one of Hong Kong’s most notorious homes — a Tsuen Wan apartment where a man killed his six relatives when he attempted suicide by gas in 1996, according to Land Registry records. There are unofficial websites dedicated to keeping detailed records of the thousands of haunted homes in the city. Similar websites tracking haunted homes exist in Taiwan and Japan, and a Canada-based website lists haunted and murder homes in North America. Hong Kong property agents aren’t legally obliged to disclose if a flat is “haunted” but they are bound by a code of ethics under the city’s Estate Agents Authority, which has the power to issue and revoke licenses. The authority said it had received 28 complaints concerning haunted flats from 2014 to May this year. But buying such homes clearly isn’t a problem for some, particularly if it means more affordable housing. “I was not afraid at all,” said Jenny Yuen, who once rented one of Ng’s haunted flats when she first moved to Hong Kong from the mainland.